Last week I spoke with game designer Jesse Schell, the highly influential author of “The Art of Game Design”, professor at Carnegie Mellon, and CEO of Schell Games. His presentation from the 2010 DICE Summit, in which he mapped out a future where gamelike experiences will be integrated into everything from toothbrushes to bus rides, went viral and sparked widespread controversy. We talked about the presentation, the promise for games to do good in the world, and how UX designers should approach game-related projects. The second chapter of your book is dedicated to discussing games as enablers of experiences. Why the emphasis on that idea right at the beginning of the book? It’s important because people who are trying to design games are so quick to go to anything tangible. They want to talk about the particulars of the design right away, how it works and what it looks like. But what the designer’s actually doing is building an experience, and we should never lose sight of that. That’s the real goal. Your DICE presentation predicted that in the future gameplay will be thoroughly mashed into everyday user experiences. Do you envision the impetus for that coming from the game designers, or from the designers of conventional user experiences? I see it coming from both directions. Reality and games are really reaching out to each other right now, and meeting in the middle. So what core competencies would conventional user experience designers need to develop to game up their interfaces? Core competencies isn’t the right way to think about it — it’s not learn a little about this or that. You’d first need to make a fundamental shift in your perspective, and then you’d need to practice. You’d need to turn away from efficiency and toward entertainment. So for example, if I were to give you a tax application with just one big red button that you pressed and boom, your taxes were all done, that would be ideal. If you did the same thing for Gears Of War, that would be the worst game ever. So people who are gameifying conventional interfaces can get themselves into trouble. What advice would you give to someone who’s thinking about incorporating a gamelike experience into a conventional UI? Some of the reaction to your presentation has seemed fearful, with speculation of Orwellian implications. Did you anticipate that response? Well I think there is some reason for concern, and I really wanted people to have that discussion. This is something that’s definitely going to happen and it can be a very good thing, but it can also be misused. For example, you start getting into a lot of ethical problems with advertising because games can be such a powerful medium to influence buying behavior. It’s one thing when you use a compelling game mechanic to create an experience that you really get into, but it’s another if you’re using it to get people to buy something that could be damaging to their health. Can games can be used to achieve positive social ends? Absolutely. Certainly educational. If you have the ability to ability to influence behavior in a negative way, then you also have the ability to influence it in a positive way. Do you think that video games have a place in the classroom? Sure. There are a lot of challenges with games in the classroom. In general they’re best suited for use outside the classroom because games tend not to work well under time constraints. They’re better as homework. But there is a place for them in the classroom, and it’s probably best when the teacher serves as a game master. So let’s say you do a live simulation in class where the teacher sets up the situation then observes and augments it as it goes, with the goal of creating a teachable moment. That’s something that simulations are really good at. Teachers know you don’t just pour something into the student’s ear, you have to pry their brains open so that they actually care. The teacher can use games to engineer that moment, and then drive discussion about how it could be done differently. I’ve seen this done a few times in training games for firefighters, doctors, and nurses, but it can happen almost anywhere. The key is to shift from games as a replacement for the teacher and to something that empowers the teacher. Games are best at being persuasive when they’re persuading you of the truth. They can be particularly good at illustrating complex systems. If you have an argument about whether a nuclear reactor is safe, people may or may not give credence to your words. But a simulation can prove that it is or isn’t safe because you can actually experience it. This property of games can also make them very useful in, say, political situations where people need to make decisions about complex systems that are difficult to understand. A team from CMU made a game called Peacemaker, intended for Israeli and Palestinean students. People on either side of the conflict tend to assume that the whole thing will go away if the guys on the other side just stop being jerks. Then the students get in the game and start working on solutions, and they discover that what they thought was simple is actually unbelievably complex. So it elevated their point of view on the conflict. In your mind, what’s the most exciting work being done in line with the ideas from your DICE presentation? I like cool entertainment experiences that make people’s lives better. Some of the charity-based ones are really interesting, and can even be meaningful and important. Looking forward, I’m really excited to see it incorporated in theme park experiences. You don’t really see interactive vacations, and I think there’s a lot that can be done there. But many of the attempts out there are boring. There’s a glut of self-improvement games that are just flops and failures. Most of them don’t really get the idea of rewards. There’s a great book called “Punished by Rewards” that I encourage everyone trying this to read. We have 30-40 years of psychological research proving that if you bribe someone to do something, people will come to despise doing that thing. Why? Because of the tricky nature of freedom: when someone pays you to do something, you’re not doing it for the intrinsic benefit anymore. An awful lot of things that will fall into that trap. You’ve been critical of Foursquare in the past. Do you take issue with its execution? No, I think that Foursquare is inherently flawed. The challenge curve is messed up. It’s very similar to Tamagotchi, and it’ll probably will have a lifespan similar to the Tamagotchi. The game as it stands requires no skill. It also doesn’t fit conveniently into your life; you have to fit your life into it. So if you’re in random places at random times, you’re going to lose at Foursquare. You can only win by engaging in boring repetitive behavior, and it’s not fun to actually do that. You’re always rating yourself against the most obsessed people in the world. But wasn’t Tamagotchi an important forerunner to other virtual pet games, like the Sims? Doesn’t that show that there’s some potential there? Tamagotchi took a simple fantasy, the Sims turned it into an elaborate fantasy. When you think about it, almost all indoor games have some kind of fantasy component to them, even simple things like chess and checkers. Foursquare has no fantasy in it, so there’s just not much to expand. If you take Foursquare and add fantasy, you get larping. Fifteen years from now, what do you think games are going to be like? The future of games is going everywhere. They’re creeping into every aspect of our lives. Over the long term, one of the big trends will be game worlds with many points of entry. You won’t only get into World of Warcraft from the PC, but also from mobile and console systems and maybe even in your car or in a theme park. I also think that speech, where you can talk to a game and it can understand and respond to you, will really change gaming by bringing in real expressive emotion. Thanks so much for your time Jesse. Can games bring real social change? I’m thrilled to unveil “Fitter Critters”, a video game designed to teach 9-to-12-year-olds healthier eating habits. I developed this game in collaboration with a brilliant team* as an entry to “Apps for Healthy Kids”, a contest sponsored by the USDA and Michelle Obama’s “Let’s Move!” campaign. The contest explores the potential for games to bring about meaningful social change, an idea of which I’m a proponent. Our game combines principles of user experience design and game design, and plays like a mashup of Farmville, The Sims, and Animal Crossing. It has a strong educational mission (complete with a unit plan for teachers) and aims to persuade kids to change the way they eat. Over the next few weeks I’ll be periodically blogging about how we built it and the objectives underlying the design. * I would be terribly remiss if I didn’t express my deep appreciation to Andrew Karetas, Bri Lance, Jim Chiponis, and Amanda Ferrara for their work developing the game. 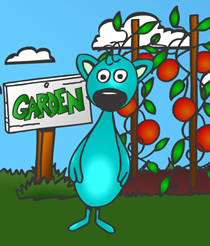 I’m thrilled to publicly unveil “Fitter Critters[http://www.appsforhealthykids.com/application-gallery/fitter-critters]”, a video game designed to teach 9-to-12-year-olds healthier eating habits. I developed this game in collaboration with a brilliant team* as an entry into “Apps for Healthy Kids”, a contest sponsored by the USDA and Michelle Obama’s “Let’s Move!” campaign. The contest explores the potential for games to bring about real social change, an idea of which I’m a proponent. Our game combines principles of user experience design and game design, and plays like a mashup of Farmville, The Sims, and Animal Crossing. It has a strong educational mission (complete with a unit plan for teachers[http://www.fittercritters.com/guides.html]) and aims to persuade kids to change the way they eat. Over the next few weeks I’ll be periodically blogging about how we built it and the objectives underlying the design. Sony’s about to take a huge leap forward in motion control. 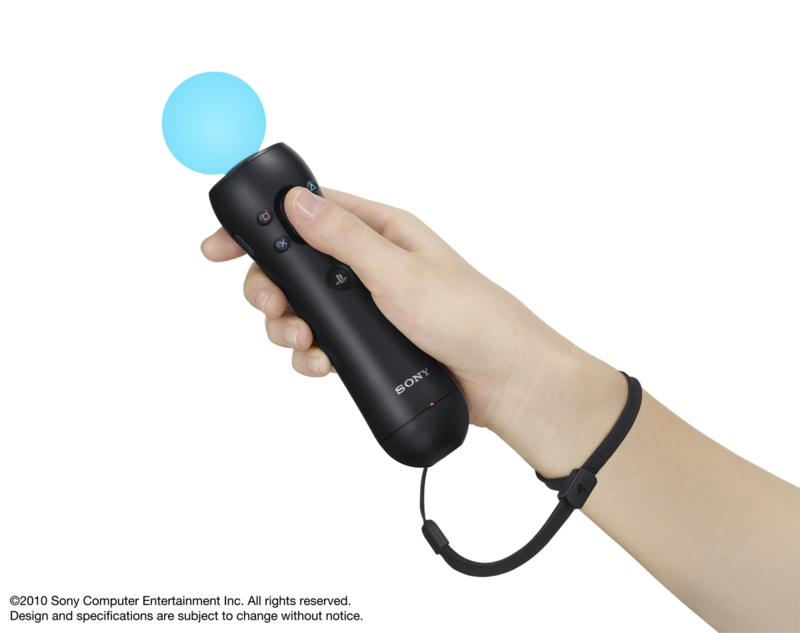 This fall it will roll out the PlayStation Move, a wand-shaped motion controller that works in conjunction with a video camera (PlayStation Eye) tracking its position in space. The result is a highly precise, richly functional, and broadly accessible platform for human-computer interaction on PlayStation 3 (a great demo video is available here). The new device builds upon on ten years of research that also produced the EyeToy, an earlier motion control product that used only a video camera. I recently spoke with the inventor of both products, Dr. Richard Marks, Senior Researcher at Sony Computer Entertainment. Would you call yourself a user interface designer? Yes, although it’s taken me a long time to describe myself in those terms. Traditionally I identified myself as an engineer or programmer. And anyway, I would describe it more as a user experience designer. My job is to come up with new experiences and see how they can be made into reality. What does your team do at Sony? Our charter is two-fold: To improve the existing experience, and to grow the entire market. That’s not necessarily just your share; we also want to bring in people who don’t traditionally play games. What are some of the challenges of bringing in people who haven’t played a lot of games in the past? A lot of people are intimidated by the controllers on modern game consoles, which in PlayStation 3’s case has two analog sticks and fifteen buttons. You think about the old Atari 2600, which had just one stick and one button, and that made it accessible to a lot of people. Fifteen is a whole lot more, and the average person who isn’t a gamer feels like they can’t possibly compete and don’t even want to try. Many people also don’t have super-fine physical dexterity and it’s difficult for them to move a very small amount, as required by many games. So while we find that the medium of video games appeals to a lot of these people, they’re just not very good at interacting in it. That’s one of the great advantages of motion control. Back in 2001 we made a demo with a camera tracking colored ball on a stick, and onscreen it projected a character over the ball. I had my 3-year-old son try it out, and he instantly understood that wherever you move the stick the character would also move. Even a 3-year-old can understand that, while using a controller or joystick to do the same thing would be completely beyond him. What were some of the lessons you learned from your experience developing the EyeToy? Something that was lost with EyeToy was a sense of accuracy. Once in a while you want that. The EyeToy could only register broad, coarse body movements, and its reliability would vary with the lighting conditions in the room. So the Move has a glowing sphere on the end of it, which the camera can track to within a tenth of a pixel. The PS3 system knows exactly where the PlayStation Move controller is in the room with great accuracy. One of the mantras of the EyeToy was that there were no buttons. We could have had people using the PlayStation 2 controllers with the games, but instead we chose to just rely upon the person’s physical movement in the room. I think that was a good discipline for us to work within and resulted in some really unique game experiences, but we came to realize that it went too far. It was very difficult to do things like navigating menus. You could only do that by waving your hands repeatedly over menu items to select them, then wave at another message to confirm that was really what you wanted to select. And while it was neat that you could work that way, it wasn’t a great interface. A button is very fast, very reliable, and very abstract — you can map it to anything you want. Tell me about the physical design of the Move controller. Well it’s different from the Wii, which used a remote control paradigm. With the Move, it’ll be more like you’re holding a physical object that has a handle. It’s designed so that it tapers in the middle then flares back out at the base, kind of like an axe handle. That creates an ergonomic advantage as well, because a smaller hand will naturally grip it at the thinner point while a larger hand will grip it further down, and in both cases that positions the thumb right above the button. There’s also an analog button on the back that’s called the “T-button” and is used in some games like a trigger, but I prefer to think of it as a squeezer. It has a fairly long throw so you can control something really well just by squeezing, and that makes it feel very natural for grabbing and manipulating objects. Do you think that a device like the Move has applicability beyond gaming? Definitely. One of our favorite uses for the Move besides gaming is creating user-generated content. Just as a creation tool, it provides a lot more capability than anything we ever had before. We actually wrote a driver to send the data from the PS3 to a PC so our artists could use it in Maya, which is an animation suite they use to design games. Often in Maya you have to move things around and look at them from different angles and distances, which normally takes expert knowledge to understand the indirect controls. Using the Move, it’s amazing how fast you can operate it. People are surprisingly good at positioning two controllers relative to one another. You can carve, extrude, lathe, grab points in a wire mesh — it all feels very natural. Fifteen years from now, how do you think people will be interacting with computers? That’s such a difficult question. A lot of people say we’ll be controlling computers just through brainwaves in the future, but I don’t really believe that. In my opinion, people want to use both their bodies and their brains. There’s a somatic gratification you get when your whole body is involved in an interaction. Playing the drums in Rock Band is really gratifying, because your body’s really taking part in it. That’s also a big part of the appeal behind touchscreens, because touching something directly is more gratifying than just clicking a mouse. I think the future is in interfaces that people enjoy using more. Where the mechanic is fun, or if not fun at least pleasing. Things have actually been going that way for a while, when you think about it. PC gaming, where you have to sit rigidly at a desk, has become less popular than console gaming, where you’re reclined and relaxed. Next week I’ll be interviewing Dr. Richard Marks, Sony’s R&D manager of special projects, who developed the EyeToy, PS Eye, and PlayStation Move peripherals. If you’re not familiar with the Move, it’s a motion controller that uses a video camera to track a wand held by the player, creating a high-precision input device. A video demo is available here. In the interview, we’ll be discussing the process of developing entirely new models of user input and the applicability of innovations in game design to conventional interfaces. If you have specific questions along those lines, please do send them them as comments to this post. Jesse Schell, author of “The Art of Game Design”, has started a blog to expand on the themes of his February presentation at the DICE Summit. In that talk, he predicted that sometime soon game mechanics will become integrated into all sorts of mundane everyday activities. He expects that governments, corporations, and other organizations will discover power of games to shape human behavior. He’s taken to referring to this as the “Gamepocalypse” (and occasionally “Brave New World”). Lee Sheldon teaches game design at Indiana University. His methods are a bit unconventional. His class on building massively multiplayer online games is itself structured like an MMO. Students work in teams called “guilds”, grades are awarded with experience points, and exams are boss fights that guilds work together to complete. He’s recently started a blog on the class. One of the themes I’ve been developing is that many things we do in everyday life are indistinguishable from games, but we’re just not used to thinking of them that way. There’s real value in that insight, because interfaces that cater to those activities can benefit from the same design principles that make games so compelling. One of the most interesting practical applications of video game design I’ve come across is FoldIt, a project out of the University of Washington that has game players folding chains of proteins. It’s actually a lot more awesome than it sounds. Biochemistry is hard. Protein molecules grow to extraordinary lengths, and can be folded into a dizzying variety of different shapes following a set of basic rules. And a single protein can have completely different effects depending upon the way it’s folded. Fold one protein this way and you have a normal part of the human body; fold it that way and you’ve got mad cow disease. Unraveling the complicated effects of different protein shapes is an extremely important area of inquiry in modern biochemistry. A rules-based problem with countless numbers of possible solutions? On the surface it sounds like a job for SUPERCOMPUTER! It’s not. Computers certainly provide vital support through modeling complicated protein structures in real time, but it turns out that they’re not especially good at figuring out how to twist protein chains into new shapes that obey all of the rules. I recently spoke with Seth Cooper, one of the developers of FoldIt, who told me that left on its own a computer “just kind of flails around, trying random moves to get the pieces to fit together.” Since there are so many possible combinations to run through, this sort of brute force approach gets results very slowly. On the other hand, human intuition can recognize patterns and anticipate strategies that are lost on machines. But human beings come with their own set of problems — in particular, you need to give them a reason to do something. As Luis Von Ahn pointed out, you can motivate people with material things like money or goods — but inexpensive and intangible things like recognition, praise, and social credit can often be just as effective. And that’s why the designers of Fold.it decided to make their human-guided protein folding interface into a video game. Making progress gets you points, points get you onto leaderboards, and leaderboards give you recognition. This simple formula has been sufficient to get tens of thousands of players to volunteer their time to a science which, in many cases, they have no background. Though it must be pointed out that it’s at least conceivable that a by playing this game, you could actually win a Nobel prize. Can video games get kids to go easy on the Lucky Charms? The Obama administration thinks they might be able to. In a letter to attendees of the annual Game Developers’ Conference last week, Michelle Obama issued a challenge to develop games that would educate kids about eating better and living healthier lives. Prize money will be awarded to the best entrants, as judged by a panel including Zynga’s Mark Pincus and professional TV dancer Steve Wozniak. Can this work? I absolutely believe it can, but I’m more concerned that it might not. Let me explain. On the one hand, I fully believe that games can be used to bring about change in people. In his speech at the DICE summit, game designer Jesse Schell proposed games to get people to do anything from brushing their teeth more often to helping their kids with their homework. Popular games like WiiFit and Brain Age improbably get people to exercise their bodies and minds. Games are intimately tied to motivation, and can be powerfully persuasive ways to get people to do something or adopt a certain point of view. On the other hand, I’m concerned that this competition (itself a motivational game!) might not be structured to elicit the best solutions. To be successful, a game must first and foremost be a game. If an educational mission (however noble) supersedes the gameplay, the experience can become heavy-handed and unenjoyable. I think there’s a danger here that the prize competition could reward entrants that most conspicuously promote the healthy eating idea, rather than those that really engage the player. A game can’t influence people if no one actually wants to play it — call it “The Bible Game” problem. But still, the White House is is doing something really significant by endorsing the idea that games can achieve real-world objectives. I think that’s a sign of shifting expectations about the role games have to play in all of our lives. foursquare is a mobile networking application that broadcasts when users check in to various locations around a city. People can see which friends are nearby, and drop in to join them. One of the things that makes foursquare really unique is its use of game mechanics. It awards users badges for accomplishing goals like going out several nights in one week, or visiting a gym a certain number of times. The people who check in a given location most frequently can be crowned its Mayor, inviting other players to seize the title. The formula has generated a lot of interest, and in less than year since launch foursquare has grown to broadcast 1.5 million checkins a week. I recently spoke with Dennis Crowley, foursquare’s founder, about the incorporation of game components into its design. Q: How would you describe foursquare? A: It’s something that makes cities easier to use and explore. It’s a mashup of friend finders with city guides to locate interesting places, with a layer of game mechanics to incentivize you to explore the city in ways you otherwise wouldn’t. Q: Why put a game into foursquare, rather than just presenting it as a straightforward UI? A: A number of years ago I helped create Dodgeball, which was one of the earliest friend finders. It worked via SMS, so you would just text where you were and Dodgeball would parse it, recognize location data in the message, and send it to your friends. One of the things we discovered from that experience was that it was only interesting when you have a good number of friends who are also using Dodgeball. But until that happens, how do you get people to use it? In foursquare the game adds interest single-user experience, because when you check into places you can start earning badges and mayorships right away. For first time-users, that’s very important. It changed the reason to check in. Then people ultimately discover the core application as they start to find their friends, restaurant reviews, and so forth. By that point, the game mechanic is intended to be secondary to that experience. Q: Do you think some people are turned off by the presence of game elements in an interface? A: There are people who say they don’t take it seriously. But people don’t really object to the game mechanics. When someone does feel turned off, it’s more often about the competitive elements. Incentives like leaderboards don’t appeal to everyone. Q: How was foursquare received when it first went up? A: We launched it at the SxSW conference in March of 2009 as something you could play while you were attending and use to socialize with other people. It was a really big gamble because we knew it was either going to be really good, or people would be laughing at us. That initial version was very game-heavy. You would get badges for doing things like traveling 25 miles out of the city, or for attending the first panel in the morning. As it turned out, it went over really big at the conference. Then the attendees traveled back to their respective cities to find there were more badges waiting for them there, and they continued playing it. Q: What influenced the design of foursquare? A: Legend of Zelda was an inspiration. You know how when you’re out on a mission and you find something like the boomerang, and you get totally psyched? I loved that feeling when I was 8, and I loved it when I was 28. So why not make a real-life challenge where an everyday serendipitous experience can feel like uncovering the boomerang in Zelda? I don’t know if you’re a Harry Potter guy, but I also thought of foursquare as a cross between the marauder’s map and the Weasley clock. That idea of always having a map in front of you showing where everyone is really appealed to me. It was also hugely inspired by Nike+, which connects your iPod to your sneakers and tracks your workout. It also connected to leaderboards where you could track yourself against your friends and set up challenges with them. That becomes a motivator to get out of bed in the morning and go running in the rain. That’s very powerful, and we thought well hey, what if you could get people to go to restaurants, or to movies, or to explore different neighborhoods? I also just really love the whole idea of the quantified self, of tracking everything that you do every day and turning it into numbers. You can make it so that everything you do in life creates points. Q: Have you contemplated the applicability of game design to conventional user interfaces more broadly? A: Designers are starting to realize that they can use game mechanics to get users to do things they wouldn’t do otherwise. You could make a game out of seeing all of the Oscar-nominated movies before the awards, or seeing all of the bands your friends have recommended to you. Of course those things are kind of trivial, but there are other things you could get people to do that become borderline important. You can use games to make people more rounded individuals, encourage them to volunteer more, get them going to the gym, or feel better about themselves. This year you’ve read x amount more than you did last year. Imagine if Nike+ placed powerups all over the city where you live, and you had to run over them to pick them up. One thing I really liked about Jesse Schell’s presentation at the DICE Summit is that he’s nailed the idea of redemptions. Your daughter got an A in her class? Well that’s worth 1000 points for each of you, and you can turn that into Obama bucks for a tax credit. Maybe something else you do could earn you a voucher that gets you into a club, or gets you a free movie ticket. That’s a huge idea. Thanks so much for your time, I wish you continued success with foursquare. This weekend I’ll be interviewing Dennis Crowley, creator of foursquare. We’ll be discussing the decision to design what could have been a conventional UI as a game-based experience. If you have questions you’d like me to ask, please post them as comments to this blog.